I've always had a soft spot for Primark. I think it must genuinely be the one place I visit every time I head in to town. But until recently, the visits were only really out of hope. Hope that I'd find something good, amongst the racks and racks of stuff that just isn't good. Now, when I visit though, it's hope of a different kind: hope that they haven't sold out of the hottest new thing they've came out with. I need a bit of help with this too. Because watching Primark Hauls on YouTube is pretty much everyone's guilty pleasure, so don't pretend, but my question is this: "Just when did Primark get so good?!" - I mean, was it an overnight thing, or was it a gradual progression that just kind of snuck up on me? Because really, it seems like every week they have a couple of brand new must haves and it's getting to the stage where it's actually difficult to keep up! Well, I'd been notified about an exciting new range, by Ellie from MakeupbyElv. It's the Private Collection, which sounds incredibly posh by Primarkian standards, and consists of Eau de Parfums, Reed Diffusers, Room Sprays, Hand Washes and Hand Creams - basically, all the stuff we either pay too much for, or head to Homesense to bag us some luxury bargains. But Ellie picked up the Pomegranate & Black Tea perfume and said it was like 98% of the way towards Jo Malone's Pomegranate Noir. Honestly, I don't own any Jo Malone fragrances, they smell great but they're way outside my acceptable price range for something that literally burns or sprays away into the air. Naturally then I nipped into Primark, located the 'Private Collection' stand and rooted around for the Pomegranate & Black Tea. But then, a magical three-letter word rose like a phoenix from the ashes of the savagely destroyed Saturday evening Primark shelves: "Oud"
Ok, so it wasn't just Oud, it was Rose Oud, and as much as I love the woody aroma of Oud, Rose can be a bit iffy sometimes because often it's overpowering to the point it makes me feel sick, so this combination part filled me with dread and part filled me with excitement. I was mostly thinking that if it's good, I can wear an Oud-type fragrance more often, as my only other Oud-based perfume is Oud Ispahan from Christian Dior, and at just under £1 per ml, I tend to use it only on special occasions. So imagine having a cheaper alternative I can spray away with gay abandon. Oud is not a scent for the faint-hearted though, it can be incredibly strong and powerful, so it's quite an acquired taste. I had a little whiff, and liked what I smelled. It has a really expensive feel to it, mixing the woody goodness of Oud with the gentle floral tones of Rose - just as the name suggests. So of course I started panic buying the stuff like the world's about to end, popped a bottle of the EDP, hand cream, a reed diffuser and room spray into my basket, along with another scent called Amber Noir and the Pomegranate & Black Tea EDP that got this whole thing started. So how does it stack up? Well, put it this way - when I spray it on, it feels like I'm actually back on holiday in the Middle East. It's really that good. Usually the kind of fragrance you get from Primark smells good the moment you spray it, but fades away into nothingness pretty quickly, but this really does linger. 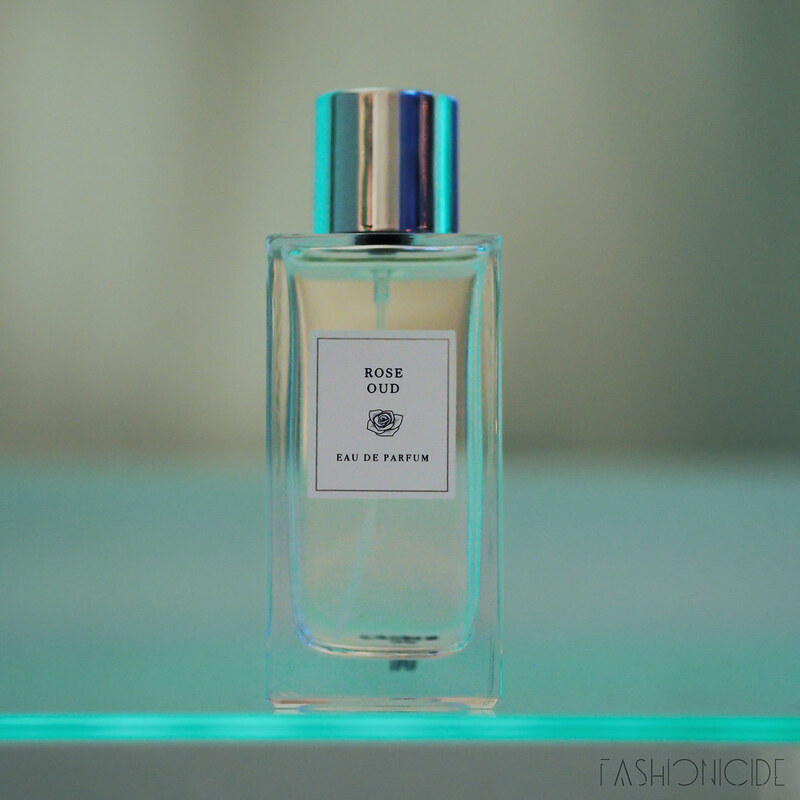 Whether that's in the air with the room spray or diffuser, or on your person with the perfume, that is not the case with Rose Oud. I am particularly impressed with the perfume, as it smells so, so expensive, and seems to hang around all day without losing too much of its strength. For £8, that's nothing short of a miracle. But even with the diffuser, I put it in the hallway downstairs and it could be smelled all the way upstairs too! 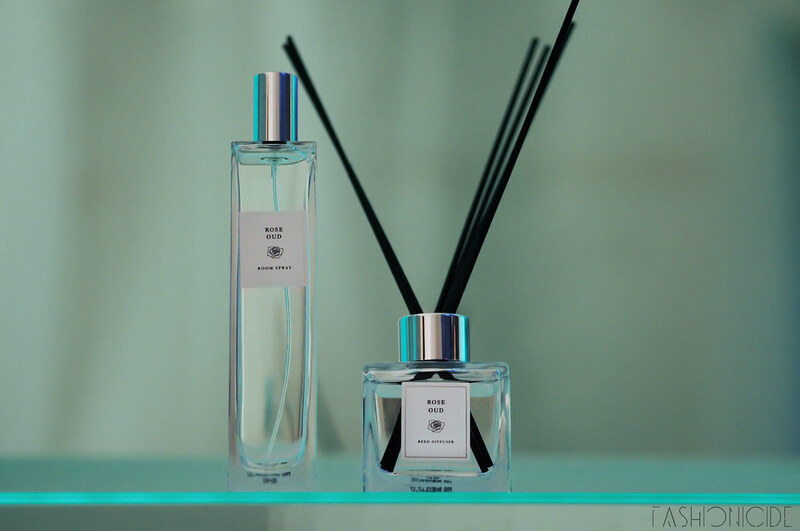 The only negative point I would say is that Primark really need to supply enough reed diffuser sticks in order to allow the fragrances to spread. Fortunately I have 100s of my own, but not everyone will. Also, for those concerned about these things (and I am), this is most likely not sourced from real Agarwood (where the Oud fragrance comes from). The ingredients on the box list 'dark wood'. Given that it's illegal to harvest wild Agarwood in many of the countries in which it can be found, and legal exports of Agarwood are much more expensive than gold, I think we can safely say Primark aren't using the real deal, which just makes the scent even more impressive. Again, I'm really, really impressed with this one but I'm not going to claim it's definitely a Jo Malone dupe, as I've never actually smelled the original, even though the bottle and name are both remarkably similar. What I will say though, is that the Primark version has a powerful spicy aroma, with subtle fruity tones to it as well. 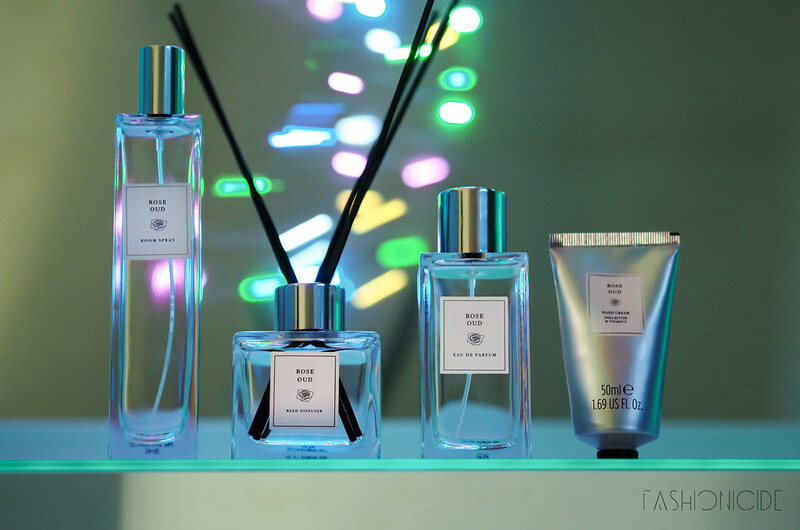 The fragrance is incredibly luxurious and smells far, far more expensive than £8, and actually, I'd have quite happily paid the 'normal' price you might expect to pay for a 'designer' brand perfume. 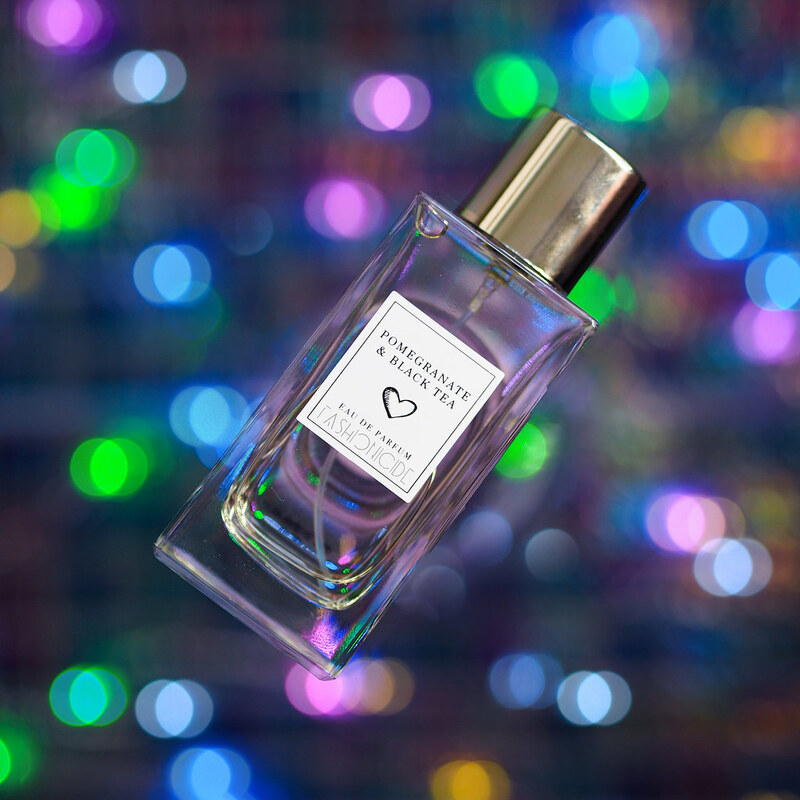 If you want to get your mitts on either of these fragrances, I'd suggest you hurry! I've been down to Primark on no less than three occasions since I first bought some, and it is selling like hotcakes. My local store actually downsized the little area it was being displayed around too, so I'm fairly certain that this is another one of those 'whilst stocks last' flash-in-the-pan things that Primark so often do. They have a couple of other scents in the range, Amber Noir, which I am yet to use, Mandarin & Basil and Vanilla Absolute, so there's something there for everyone. The EDPs come in 100ml bottles and will set you back just £8, Reed Diffusers are £6, the Room Sprays are between £4 - £6 (got too excited and threw the box away!) and the Hand Creams are currently on offer at just £2. Seriously, put a reminder on your phone for tomorrow and JUST GO! Ooh! I'm glad I bought the Rose Oud perfume, diffuser and room spray. Next time I'm going after Pomegranate & Black Tea. That Pomegranate one is heaven. Have you tried the Byredo dupes they have? BLOODY AMAZING!!! what are they please? Very curious!! Daaamn. Looks like Primark pulled it out of the bag with these. Cool - I just bought Rose Oud and was wondering if anyone else picked up on this range! Amber Noir reminds me of Serge Lutens Noir. I've really been impressed with Primark! Cool review :)! These sound great! I'm not back in the UK until November and I do hope they are still selling them! I am a Longterm JM fan and My husband bought me the 100ml JM velvet rose and Oud for Christmas, (£100+).. yesterday I bought the 100ml Primarks Rose Oud yesterday after reading the glowing reports,?.... well I will be totally honest and say PMKs Rose Oud is a clone for JMs velvet rose but with a BONUS... the bonus being LONGEVITY! JMs velvet rose has hardly any longevity at all if I’m honest, and you have to keep spraying to keep the perfume on you, well PMKs Rose Oud lasts MUCH LONGER, MUCH MUCH LONGER INFACT! When comparing them both last night I could still smell PMKs Rose Oud this morning and there was no sign of JMs anywhere, even my pillow smelt of it! PMKs Rose Oud even has that JM distinctive smell that seems to be in all JMs perfumes. (AND JMs distinctive silver top even fits on PMKs perfume too!! ;-) I will be saving my money next time!